The best thing that ever happened to last year’s abysmal Fantastic Four reboot is Batman V. Superman, which nimbly nabbed the crown for “most hated superhero movie of recent memory,” despite making eight times as much money at the box office (and counting). But since 20th Century Fox apparently never heard the thing about looking a gift horse in the mouth, they’re doubling down on the Fantastic Four franchise, rather than letting it sink into oblivion. We didn’t make a good movie, and the world voted, and I think they probably voted correctly. And you can’t make a good movie every time out—not everybody does. We actually have a pretty good batting average, all things considered. But I think we made many mistakes when we made that movie—mistakes that we learned from and we wouldn’t repeat. We’ll try to be truer to the essence of the tone of Fantastic Four, which is completely—well, not completely, but largely—distinct from the X-Men, which is brighter, funner, more optimistic tone. I think we tried to make a darker Fantastic Four movie, which seemed like a radical idea but we were kind of messing with the DNA of the actual comic instead of trusting the DNA of the comic. To be fair, 20th Century Fox has some experience with revitalizing dying franchises. X-Men seemed DOA after the disastrous X-Men: The Last Stand and X-Men Origins: Wolverine, but the franchise somehow righted itself with a soft reboot in X-Men: First Class, which Kinberg produced. And he even managed to undo some of the less beloved elements of his Last Stand script thanks to the time travel mechanics of X-Men: Days Of Future Past. Plus no one could’ve predicted that Ryan Reynold’s brief turn in Origins would eventually lead to him starring in the highest-grossing R-rated movie of all time. But while, yes, stranger things than Fantastic Four 2 have arguably happened, considering how much animosity has been aimed at the film from its director, its stars, and pretty much everyone involved, it does feel like quite an uphill battle. 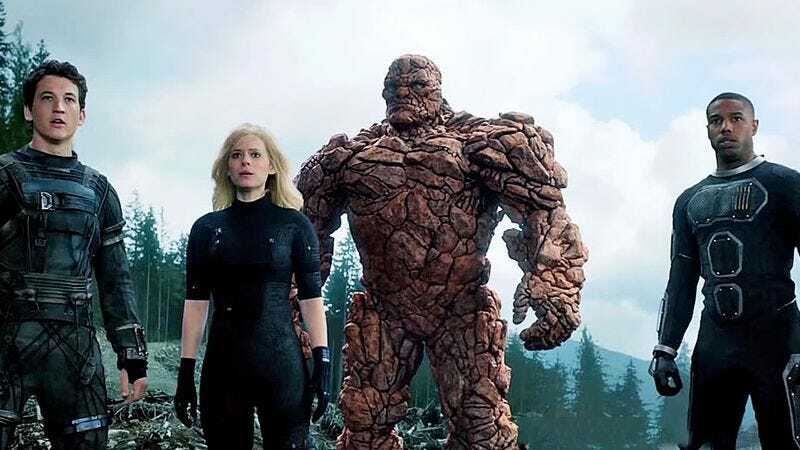 Kinberg, however, remains optimistic, noting, “Nothing would make me happier than the world embracing a Fantastic Four movie.” Then again, perhaps he’s just trying to shift focus away from Apocalypse’s own tepid critical response by reminding everyone that it has to be better than Fantastic Four, right? Right?! ?